When designing your railing you may choose any one design you like. Listed below are post and border options we offer. All border options can be used uniformly or varied for each section. 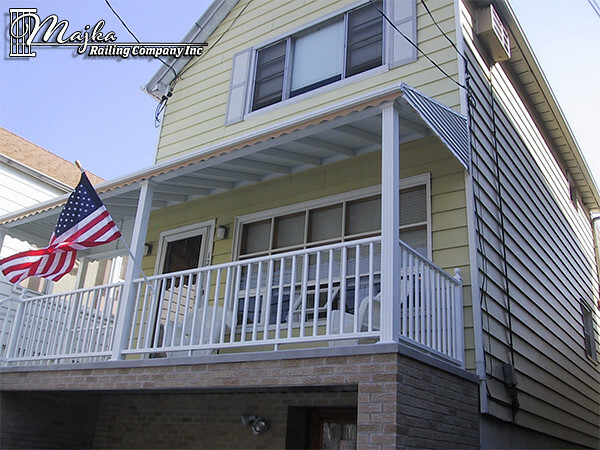 Every railing we make is made in the USA using only materials sourced in the USA. Post: 2 1/2" or 6" Baluster:... Column:... Picket:Square Finishes: Powder Coated Additional Options:double border featuring 4" circle, or 1" square styles. 4" square fluted columns available full height or with 6" square panel newel post.